Allstates Termite & Pest Control, has been offering courteous and thorough service in the area for over 41 years. 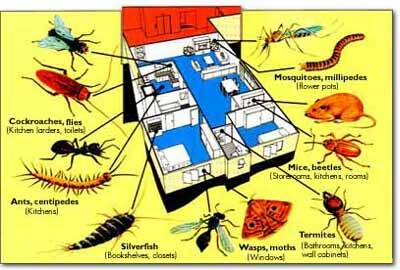 We are always looking out for pest control treatment methods that are safer and less intrusive. Once you have an infestation, we want to eradicate it with the least amount of fuss. We continually train, develop and enhance our skills to deliver the best products and services. At Allstates Termite & Pest Control, we provide safe, efficient, time responsive and professional services. You can count on our technicians to eliminate your pest problems. Email or call us today for environmentally sound pest elimination service. Be sure to mention you saw us online.